There are all sorts of stupid reasons why one might be attracted to visit a certain town over and above simply wishing to see the sights that you know are there to visit. 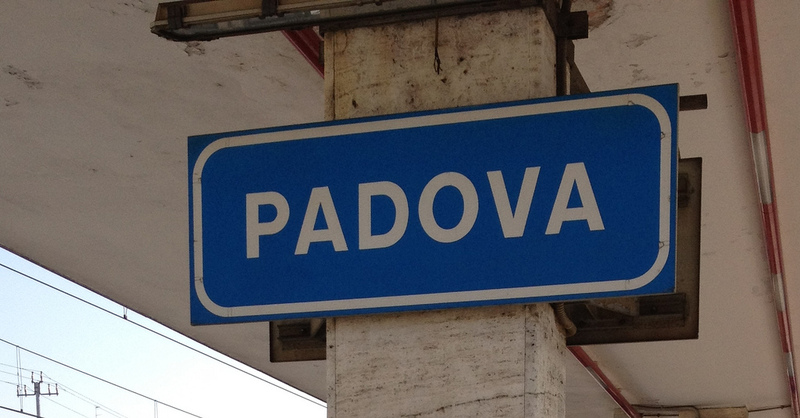 I’m glad I’ve now ticked Padua off my list, and my main motivation for including it in our Italian Odyssey was so that I could sing on the streets “I’ve come to wive it wealthily in Padua” (from Kiss Me Kate, or Taming of the Shrew if you’re more literary). I’m a constant source of embarrassment to Mrs Chrisparkle and Lady Duncansby; I spent an entire Norwegian cruise a few years ago irritatingly breaking into the opening lines of the “Song of Norway”. 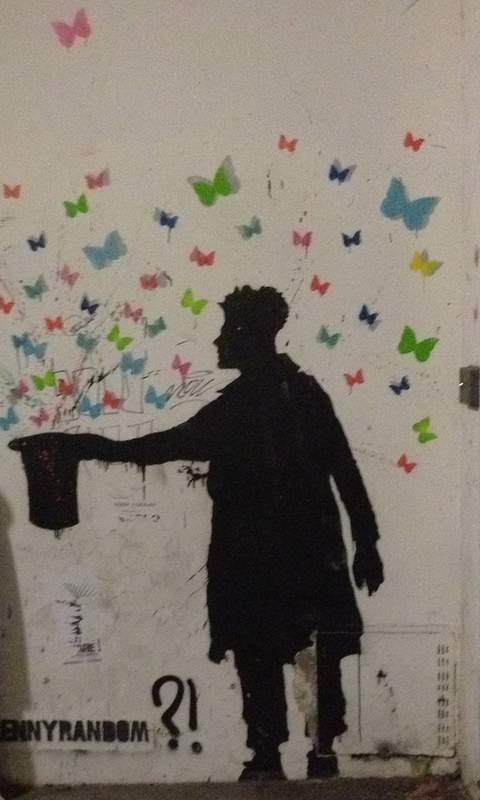 Anyway – Padua, or Padova, if you prefer. I’d pre-booked our train tickets in advance using the Trenitalia website, and if you plan to travel by train around Italy and you can pick particular dates and times for your journeys, and stick to it, I’d really recommend it. When we asked the hotel staff in Verona how much time we should allow to get to the station, their first question was: have you bought your tickets in advance? They said if you have to queue for your tickets then add another half hour to your journey. You don’t need that kind of stress when you’re on hols. The website is easy to use and has a very good English translation. There are also some absolute bargains to be had on there, and some of our trips were extremely good value. There are a number of options as to how you would like your tickets – I chose the ticketless option, where all you have to do is tell the ticket inspector a six digit booking code when on board. Easy peasy. In the end, the combined cost of a single from Verona to Padua, then from Padua to Venice, and finally back from Venice to Verona cost approximately £45 per person, travelling first class. The carriages were clean and comfortable, and you get a complimentary drink and snackette. They even have English language newspapers on board. Plus you arrive in your destination relaxed and raring to go. 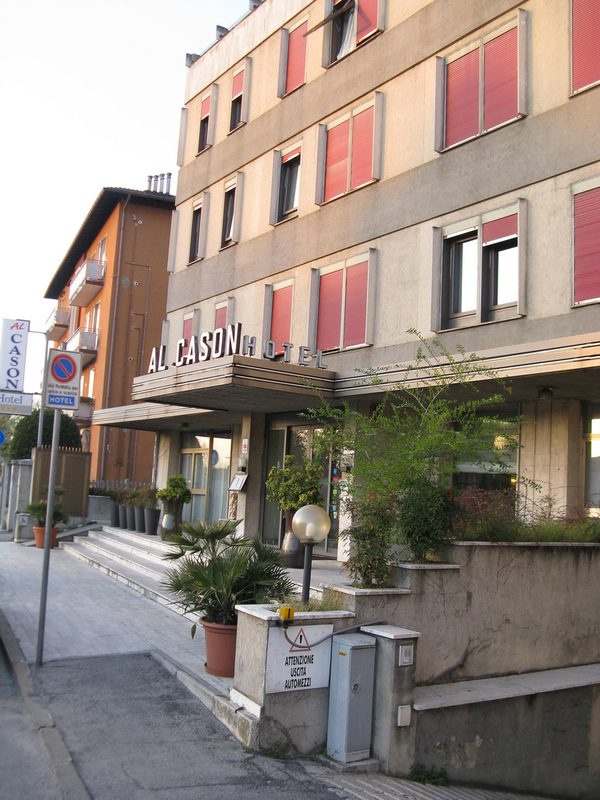 We chose our hotel – the Al Cason – primarily because it was close to the railway station and it got sufficiently good reviews on Trip Advisor (currently Number 6 of 59), and was pretty cheap. As a three star it doesn’t have quite the pizzazz of the other hotels on our jaunt, but it was perfectly good enough for one night. The staff were helpful and the room was clean – if a little dark. There’s an unusual thing – the room numbers are not written on the doors but are etched into the carpet in the corridors! Breakfast was fine. 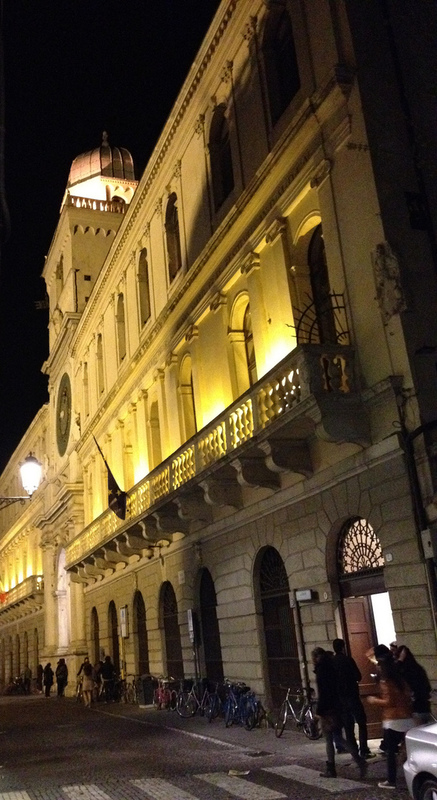 So with only a matter of only five or so hours of daylight to experience everything Padua had to offer, we headed out on our mission of exploration. Gasping for some water, we called in at a little kebab shop near the hotel and got chatting to the chap behind the counter who was proudly displaying an award for his cricketing prowess – not exactly what you would expect in the back streets of a north Italian city! 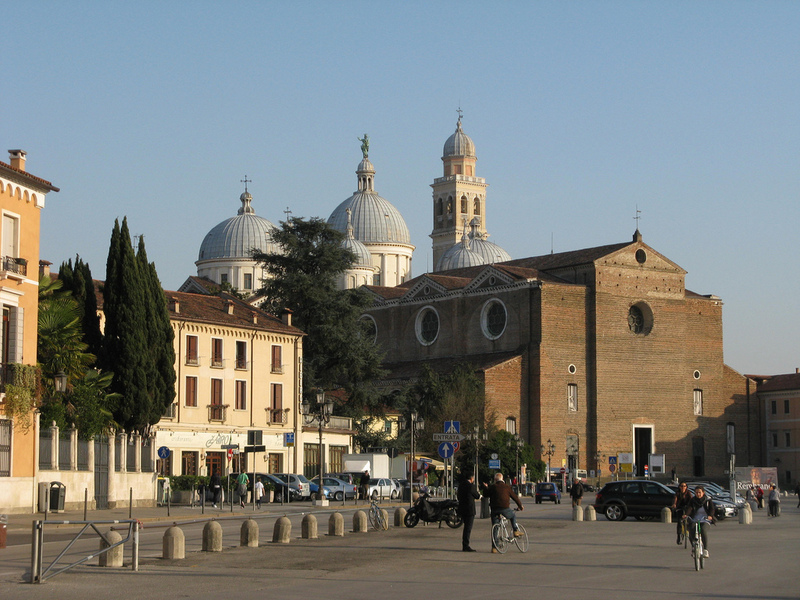 The walled “old town” of Padua is actually quite small so you can get a good appreciation of the place in a short time. The major attraction to see is the Cappella degli Scrovegni, the chapel famous for its Giotto frescos. The only way you can visit is to book in advance, and they have drastically reduced the windows of opportunity to visit. My 2007 guide book says it’s open from 9am to 10pm, but when you go to the website to book, you find it’s now restricted to just the late morning and early lunchtime. Unfortunately we arrived too late in Padua to visit on the same day and were leaving too early the next day to slot it in then too. 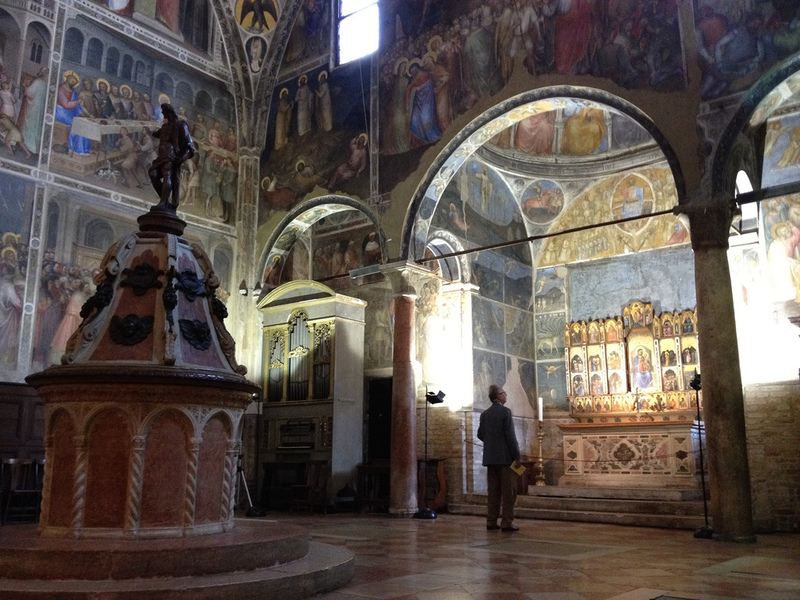 So regrettably the Scrovegni frescos remain a mystery to me. Always good to have something to come back for, though. 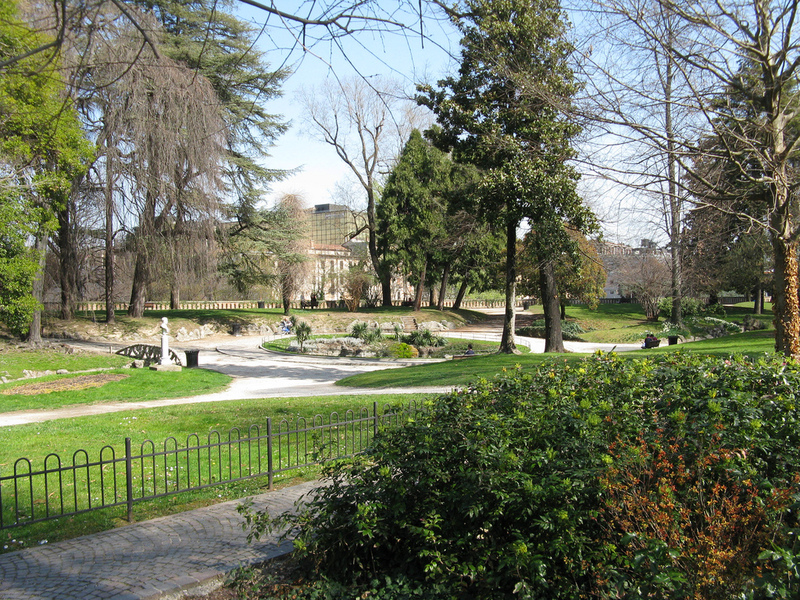 Instead, we had a quick wander around the Giardini dell’Arena nearby; a nice bit of greenery in the urban area. We were heading south into the centre, on a route that takes you through lots of workaday yet attractive piazzas – the Piazza Insurrezione, the Piazza della Frutta, the Piazza delle Erbe, the Piazza dei Signori and the Piazza del Duomo. We walked through them all and they were all vibrant with daily commerce and business activities. 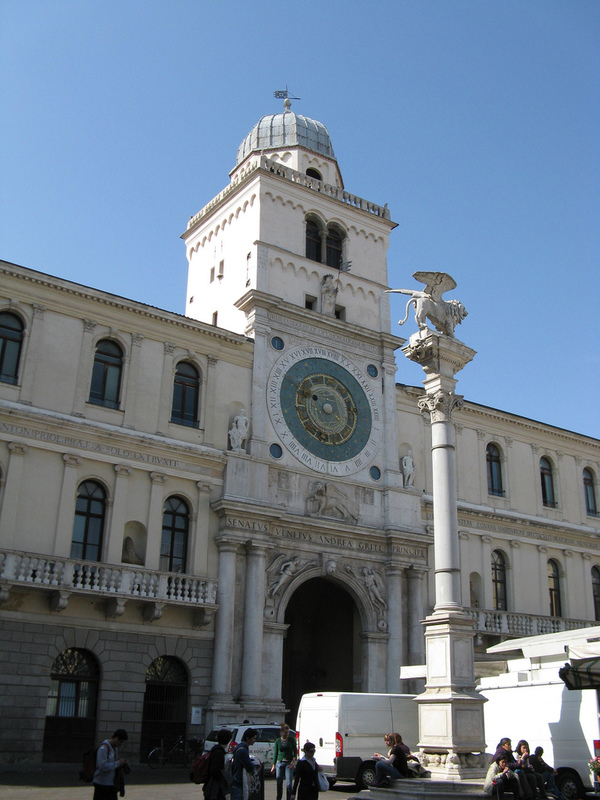 The big astronomical clock, made in 1344, of the Palazzo del Capitanio in the Piazza dei Signori cries out for having its photo taken. We arrived at the Piazza del Duomo, with the intention of visiting said Duomo, but by then realised we were absolutely starving. 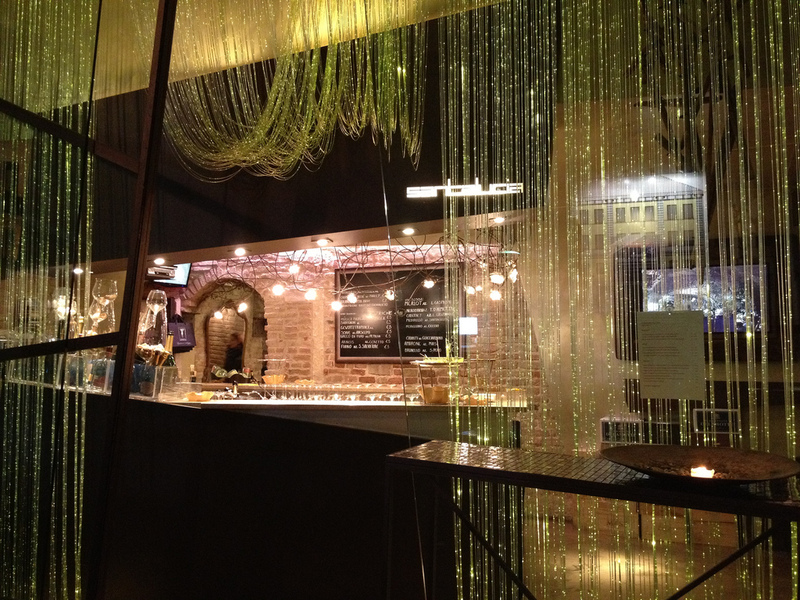 So we found a nice little place, Il Gancino, opposite the Duomo, where we sat in the sunshine, ate pizzas, (not Mrs C, obviously – the tuna salad went down a treat), drank some nice Italian plonk and I fended off nuisance calls from 3 on my mobile phone. After lunch we crossed to the Duomo, but it was closed till 4pm. Never mind, we’ll come back, we said. Next door, the Baptistry, was however open. What a jaw-droppingly astonishing sight. It’s stunning. It dates from around 1200 and inside is entirely decorated with frescos of scenes from the Bible, painted by Giusto de’ Menabuoi in 1378. It isn’t a large building – somehow its intimacy makes it more astounding, as you feel really close to the images, which is something you can’t quite feel in a huge cathedral that might have similar decorations on its ceiling. There are seats all round the walls so you can sit and take it in from all directions. If you know me personally, gentle reader, you will know that I am a naturally law-abiding person – tediously so, sometimes. There are times when rules are meant to be broken though, so I deliberately transgressed the no-photography rule when the man at the cash desk wasn’t looking. I didn’t use a flash and it was only with the iPhone, so where’s the harm? I think you’ll agree the view is “something else”. We retraced our steps back to the Piazza delle Erbe to find the Palazzo della Ragione. This was Padua’s law court and council chamber, built in 1218. When we got to the ticket booth, the lady there looked distressed for us. She explained that they were using the Palazzo to prepare for an art exhibition. We looked despondent. “Does that mean we can’t go in?” I asked. “Oh no”, she said brightly, “you can go in but we can only charge you half price”. To be honest I didn’t feel the need to commiserate with her too deeply. She said there would be areas where they are setting up the exhibition where we couldn’t go, but we could go everywhere else. “Let’s risk it”, I said. On entering, you realise it’s another astonishing sight. 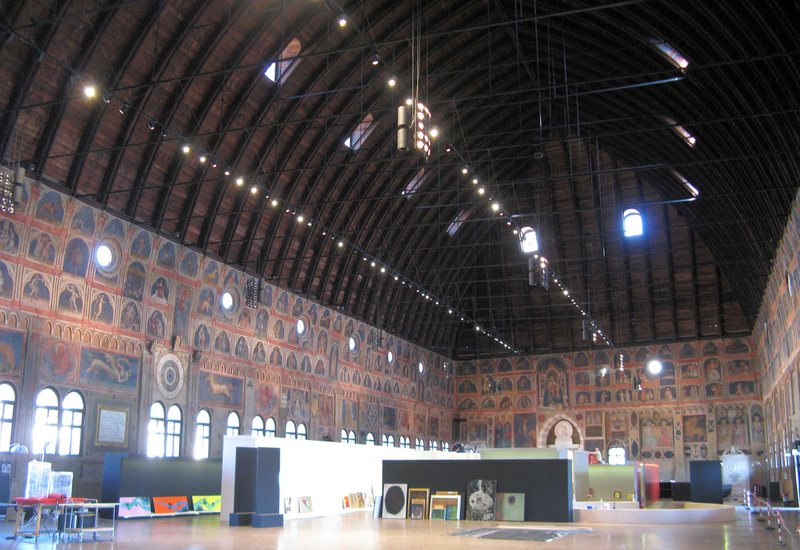 It’s the largest undivided medieval hall in Europe; 80 metres long, 27 metres wide and 27 metres high, and its walls are covered with frescos by Nicola Miretto, dating from 1420 to 1425. Walking around it, you are in awe of its scope and majesty, and it’s thrilling to see that the frescos are still in remarkably good condition. 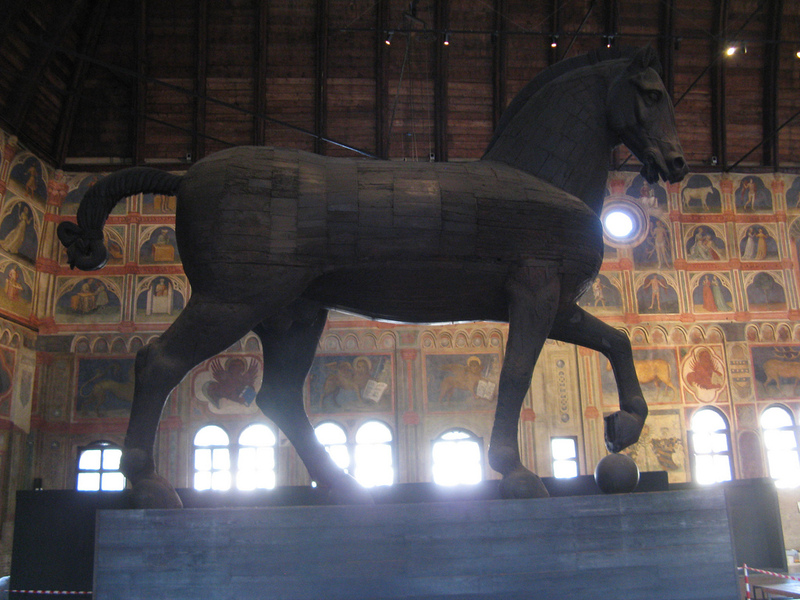 At one end of the hall is a copy of the huge Donatello horse, the original of which is in the Piazza del Santo; at the other, a reconstruction of Foucault’s Pendulum made by the Physics Department of Padua University. An amazing place to visit, and all for a couple of euros. Oh, and if you want my advice, installing an exhibition of local art there is redundant. From the balcony of the Palazzo you can look down on to the Piazza delle Erbe, a great place for discreet people-watching. It looked like there were some lively goings-on happening to the far left, so we thought we’d investigate. 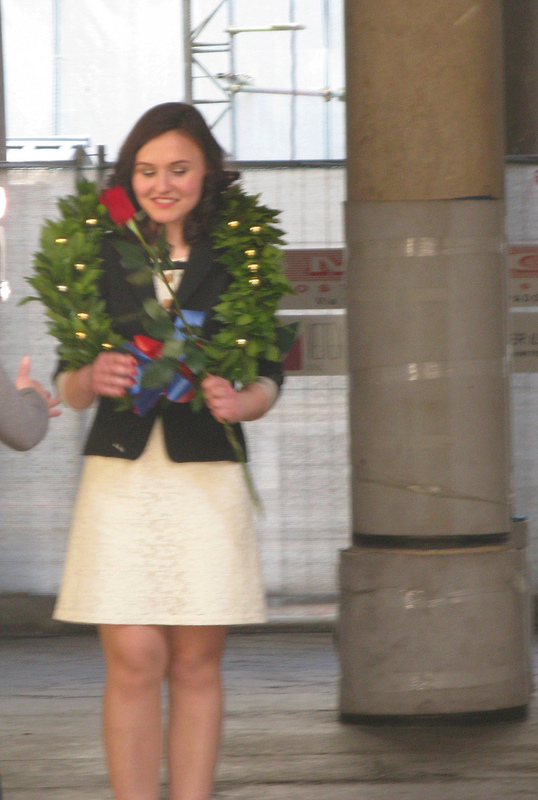 This route took us toward the heart of the university area, and we realised it must be Graduation Day, as there were a number of happy-looking young people celebrating; some wearing a traditional laureate wreath around their necks, like one demure young lady I noticed; others in bikinis allowing themselves to be body-painted as some kind of performance art. We never did that at my alma mater, that’s for sure. It seemed a little indelicate to linger alongside the bikini-clad girls for any length of time, so we carried on towards the Piazza del Santo, taking in an attractive old balconied building where, according to the plaque outside, Dante worked in 1306. We followed the via del Santo down towards the Basilica di Sant’Antonio. After a nice coffee break in one of the cafes there, we went to visit the Basilica. I confess I can’t remember too much about its interior; you get to a stage when another majestic building doesn’t get registered in your head because you’re still processing the previous majestic building. In any event, it’s possibly mainly notable for its domed exterior, which has something Moorish about it. It was built to house the remains of St Anthony of Padua, a simple man, apparently, who rejected worldly wealth; he must have looked down from heaven at the huge church they built him and said “Didn’t you lot listen? I don’t need all that!” Further round the piazza there are the Scuola del Santo and Oratorio di San Giorgio, but it was closing time so we just had enough time to peep round the Oratorio and see the art works on the walls. The Prato della Valle looked interesting on the map although I didn’t know anything about it, but as it was close by, we thought we’d take a gander. It’s terrific! A beautiful open park, it’s the largest square in Italy, with statues surrounding either side of a moat and a green island in the centre. A place for simply lounging about, as indeed all the Paduans were doing most assiduously when we were there. It was the end of the day, and we were faced with a good hour or so’s walk back to the hotel. En route, we passed by the university area again, where we saw the same demure young lady we had seen earlier, now looking somewhat worse for wear – students, eh? We followed a different route back, the via San Fermo, and what did we find just before we turned the corner into the via Dante? A coeliac shop. No, not a place to buy coeliacs, but a little emporium of wonderful gluten-free edibles and a very friendly and helpful man pointing out all his coeliac-friendly options. Mrs C did a trolley dash of “Supermarket Sweep” proportions and stocked up on biccies and cakes which would prove invaluable in the next few days. The gentleman in the shop said he would be selling online shortly and indeed I see he now is; but his shop, Il mondo senza glutine, at 108 via San Fermo, though small, could be a life-saver for any coeliac who finds themselves hungry in Padua. So after a much needed rest and refresh, it was back out on the town to forage for food. 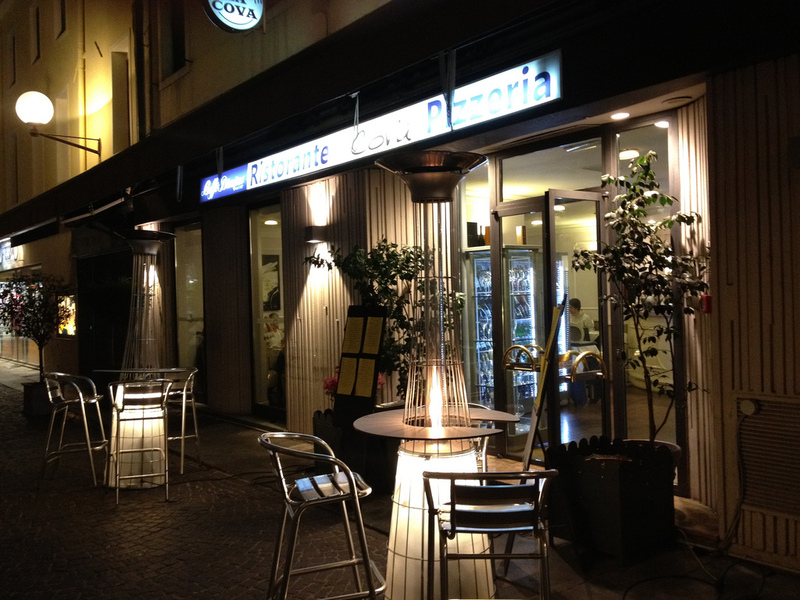 We discovered the Cova Restaurant on via Calvi and it was full of locals, which we thought was a good sign. It was. A nice ambience and good food and drink – Mrs C had the Tagliata again as she had in Verona the previous night, but comparisons are odious and the Veronese one was slightly better. Still, it absolutely did the job. Even better, afterwards we stumbled (probably not the best word) upon a charming open air enoteca, the Santa Lucia in the Piazza Cavour, where we had some delicious Chianti and some totally unnecessary but yummy nibbles. It was probably the best evening bar-based experience we had in Italy. And that was our brief sojourn in Padua. 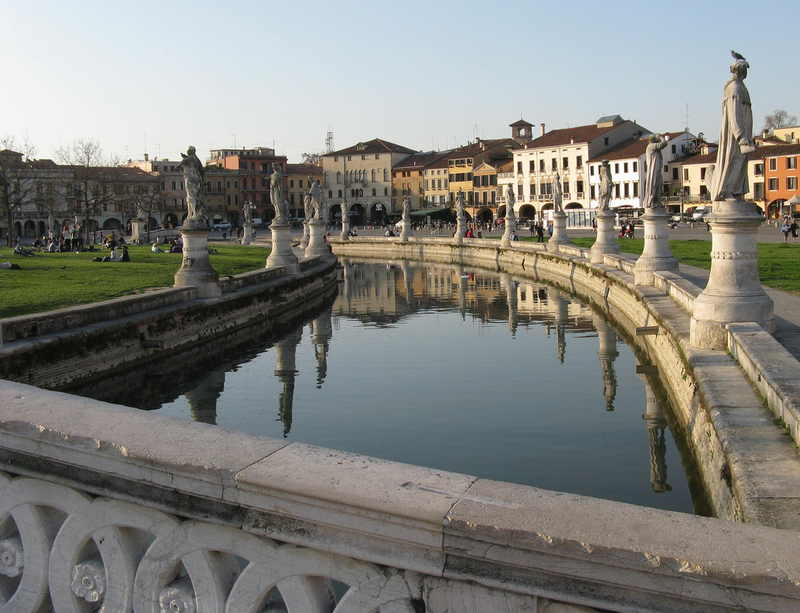 Tomorrow it would be off to Venice, no doubt the highlight of our tour; but I’m very glad we included our one night in Padua as it is a charming place, with some stunning sights and a friendly atmosphere. We never did get back to the Duomo, and I didn’t get to wive it wealthily, but you can’t have everything.